How does Accenture create vendor alliances? Accenture professes to follow a technology-vendor-agnostic approach to making client recommendations, but is that always the case? We have noticed how the company - in addition to managing over 150 tech vendor partnerships - forms strategic business groups with core partners, such as SAP, Oracle, Amazon Web Services (AWS), Cisco, Pivotal and Google, not to mention the joint venture with Microsoft. Given the initial structure of the Accenture-Apple partnership, we expect this may formalise as a Business Solutions Group as well. Augmenting its large partner ecosystem capabilities often requires Accenture to team up with regional firms (e.g., Sompo Japan Nipponkoa Insurance and Daiichi Kotsu Sangyo) to demonstrate how Accenture partners at the local level to gather insights and test technologies in specific industries. The alliance strategy makes sense for such a large firm with a diverse set of offerings and capabilities, but in today’s market, which is flooded with emerging technologies, we have to ask what market and competitor changes will alter Accenture’s strategy. As the market evolves, Accenture’s do digital, be digital approach has impacted the way the company forges and manages its alliance relationships. The influx of startups presents a great opportunity for Accenture to expand its reach into new areas such as artificial intelligence (AI), blockchain and the rest of the alphabet of new technologies. Part of the Accenture Innovation Architecture, Accenture Ventures has played a critical role in this evolution as it has taken Accenture’s alliance strategy to the next level, creating a bridge between acquisitions and strategic partnerships mainly through minority investments in vendors such as Ripjar. The additional commitment and risk sharing demonstrated through minority investments is a step in the right direction as new buyers can be skeptical when nontraditional vendors pitch new capabilities. 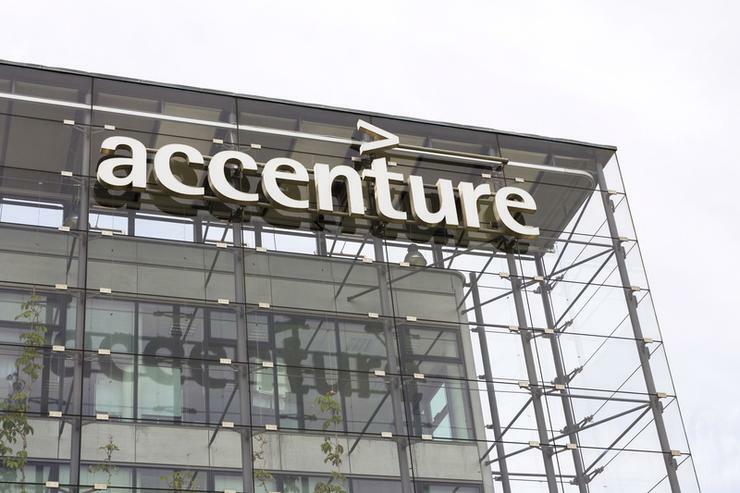 But Accenture is an almost US$40 billion organisation with a predominant focus on Global 2000 clients, leading the company to heavily rely on its Big Six partners - SAP, Oracle, Microsoft, AWS, Salesforce, Google, plus the emergence of Workday on Accenture’s radar. TBR notes that recently Accenture’s leadership has recognised the importance of these partners, as platform-based services enabled by the soon-to-be Big Seven by these Big Seven are now generating over 25 per cent of Accenture’s sales. So, is anything really changing? At the macro level, maybe not, but the “as-a-service” economy has enabled Accenture to pursue opportunities within the mid-segment market, which in our view is an even bigger strategic shift than bringing in Accenture Ventures. This move into the mid-segment market creates opportunities for the small technology players to play in the same sandbox as the 800-pound gorilla. With Accenture augmenting its strategy, how do the small guys get Accenture’s attention? TBR asks this $100 million question of the startups, but more importantly of Accenture too. Many rival IT service vendors have ramped up similar strategies and will now drop prices to meet clients’ demands for nimble, off-the-shelf solutions that may not require premium consulting expertise as much as strong back-end support (hello, India-centric vendors). So is Accenture ready for the next chapter of its alliance strategy? Possibly. Will data interoperability reduce the need for multiple large platforms and be the panacea for the small tech guys to fill in the blanks? Can agile methodologies infect Accenture’s alliance strategy? Maybe. With Accenture, let’s recall that it’s all about process. To paraphrase the late Johnnie Cochran, if it doesn’t fit, you must quit. And if you’re one of 150, you’d better be better rather than good. Is Accenture about to acquire Oracle specialist partner, PrimeQ?